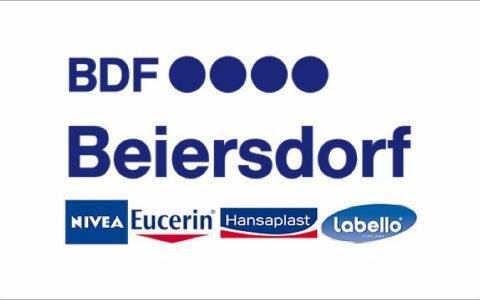 Beiersdorf is a FMCG company in the health and beauty sector, with celebrated brands such as Nivea, Futuro, Elastoplast and Leuko. Beiersdorf ANZ had enjoyed double digit growth for several years capitalising on strong industry growth. In 2004, however, the early signs of industry slow down began to emerge and financial growth stuttered. Beiersdorf’s leaders resolved to proactively respond to industry forces and embarked on a strategic journey, focused on effective execution, which continues today. We began working with Beiersdorf in 2004 on three integrated priorities: strategy, leadership and alignment. Phase one involved developing and then communicating Beiersdorf’s strategic content, including their aspirations, core value proposition and balanced scorecard. A disciplined process was implemented to measure and review progress towards Beiersdorf’s ambitious vision: “After 5 years in the market each of our brands will be #1 or #2”. The second phase comprised strategies to shift from a passive and aggressive leadership impact to one dominated by constructive impact. Interventions targeting behavioural standards within the Executive Team and next layers of senior leadership were systematically ingrained into day to day interactions, meeting structures, and people and performance systems. Phase three involved the alignment of key systems, structures and capabilities to Beiersdorf’s strategy. A precursor for change involved developing a strategic orientation within the HR function. Staff engagement was addressed via an interactive metaphor and regular face-to-face forums to ensure every staff member had a clear line of sight between the strategy and their day-to-day work. The total number of Beiersdorf brands that are tracking at number one or two has increased from eight brands out of thirteen in 2004 to twelve brands today. More importantly, Beiersdorf’s brand growth has significantly outperformed the market despite the size and marketing spend of much larger competitors. Beiersdorf’s behavioural standards have significantly increased across a number of indicators. A Leadership Impact™ remeasure of all senior leaders showed large shifts toward a constructive impact. An academically rigorous survey conducted by Macquarie University revealed overall engagement levels at the 94th percentile; effectively placing Beiersdorf ahead of 93% of all companies in the database. Externally, Beiersdorf has been recognised with a number prestigious awards, including Best HR team and Best Employer Branding strategy at the Australian Human Resources Industry Awards (AHRI). Additionally, an external benchmarking study revealed significant growth across a number of key internal processes compared to Australian best practices.